Visually appealing Wizer worksheets engage students more deeply in learning and are likely to spend more time thoughtfully interacting. 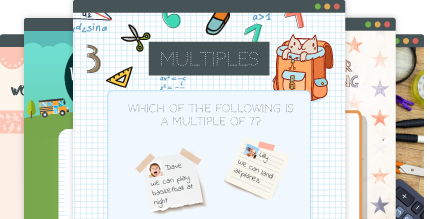 Wizer worksheets are beautifully designed and teachers can choose from a variety of backgrounds and themes. Wizer allows teachers to easily add any rich media (video, audio, images) directly to the blended worksheet. Videos can captivate the mind for learning or practicing new skills and sparking the imagination for creative tasks. Everybody loves inspiration. 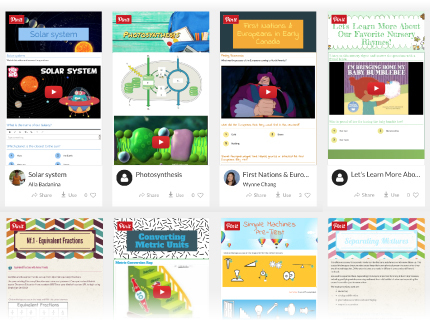 The Wizer gallery is a collection of beautiful, engaging blended worksheets created by our community of teachers. 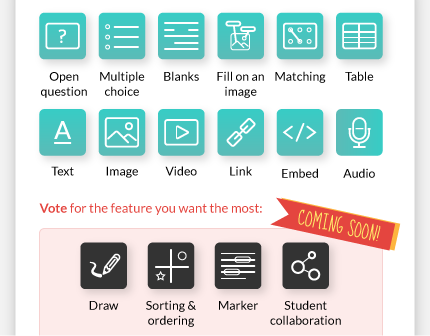 Browse by subject or grade to find inspiration for what you can do with Wizer. See a worksheet you love? Click ‘use’ to make a free copy you can use with your classes. Teachers are some of the busiest people on earth. We want you to spend all your time and energy nurturing young minds - not messing around with technology. Wizer is built to save you as much time as possible.